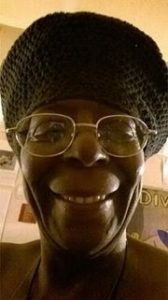 66YrOld Black Lady Shot and Killed by Police! Rest in Peace to Debora Danner. Officials say they are wondering why Barry didn’t use his taser. Am I the only one who thinks that a taser might have also been a little too much? What male officer can not detain an old woman without teasing or killing her? What kind of police do this? What kind of police are incapable of handling a senior citizen with a bat? I wholeheartedly believe this is a case of racial impulse. Some people, police included, get scared in an impulse and pull the trigger. Was it her skin color that warranted no time to think? This is devastating. It could have been my mother, my grandmother. From a 17-year old boy in a hoodie, to a 12-year old with a toy airplane, all the way to a 66-year old woman with a bat. Do we need a special tactics team when it comes to effectively disarming and not killing those of color? We pray that justice is served this time and we send our condolences to the family of the wrongly murdered woman. ← Can My Pastor treat me for Depression?